xin chao (Hello, in Vietnamese)! When you stay at Daisy Hostel, you check in as a guest but leave as part of my family. We're located in the heart of Hanoi's famous charming Old Quarter, within close walking distance to all the historic sites, museums, the famous Hoan Kiem lake and plenty of delicious restaurants nearby. Our rooms are cozy so you can get to know your fellow travellers - choose from 4-bed and 6-bed, female, male or mixed dorms. so you have lots of energy to explore the sights! For however long you stay with us, or wherever you are going next, we can help with all your travel plans, bookings and make recommendations. 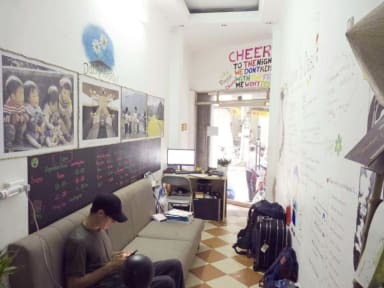 This is your home away from home, and we look forward to welcoming you to Hanoi and at Daisy Hostel! Great value for the price, great location, clean dorm rooms, and well priced tours. It isn't a luxury hotel (duh! ), but the lovely family that owns Daisy Hostel more than makes up for that with warmth, kindness, and helpfulness. Highly recommended! 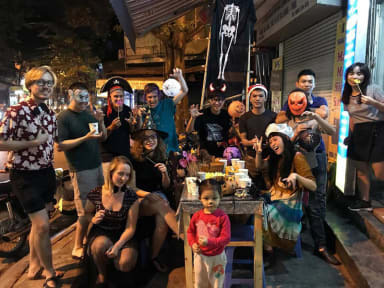 Really good staff, you can book all your activities in the hostel at good price. The bed and room was clean. The bathrooms could be cleaner in my opinion. Other then that i enjoyed my stay very much. The family is super helpfull and very kind. This was a good hostel with helpful staff. Only thing it lacked was a place socialise. Otherwise it was a nice home stay. Cheap and clean, Daisy and her family did everything I asked of them and when I was ill gave me some ginger from their kitchen so I could make tea and settle my stomach. Some other guests complained there was too much hard selling of the tours and excursions. Not much of an atmosphere here and I was very disappointed that when a guest in my dorm was being verbally and racially abusive towards another guest the only thing that was done was the staff offered for me to change to a different dorm. This hostel was cheap ending up booking it because there was nothing else at this price last minute. Most people stayed one night and ended up booking something else. No key for rooms you just walk in. Only good for one night if your on a budget and didnt book anything else ahead of time. Don’t think i’d stay here again.